Features a variety of different animals to take care of! Includes a flap for the animals to access the garden easily! The pet hotel includes a kitchen as well as an outdoor area, as well as lots of food and toys for the animals! Check out this super cool Playmobil set! 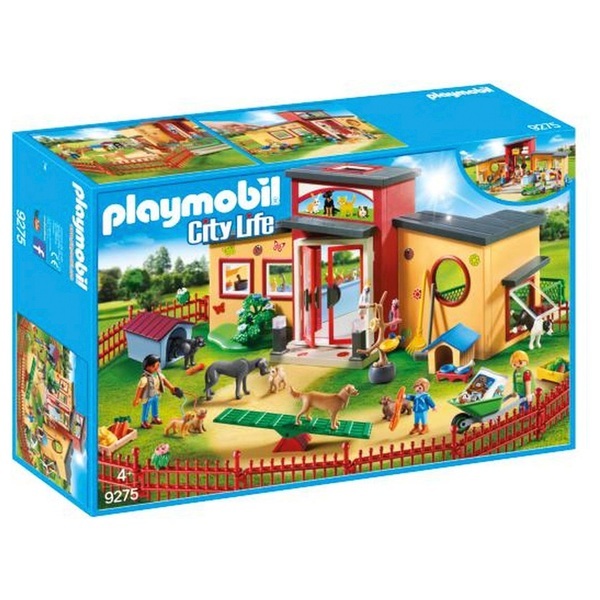 The Playmobil 9275 City Life Tiny Paws Pet Hotel is fully equipped with everything your pets might ever need. With lots of food and toys available, the animals can enjoy the cosy pet hotel. Call your pooches in for mealtime or take your parrots out for some playtime in the large outdoor area where all animals can get some exercise and fresh air before settling indoors for bedtime. Includes lots of animals, 3 Playmobil figures and many accessories.